Gerhard van den Heever struggled to make a consistent impact. MUNSTER HAVE TODAY confirmed the departure of six players as they look ahead to life with Johan Erasmus as director of rugby. Denis Hurley (who announced his exit on Instagram last night) heads the list with experienced prop BJ Botha, wing Gerhard van den Heever and scrum-half Cathal Sheridan also hanging up their red jersey. Sligo man Sheridan leaves his adopted province with an injury-hit caps total of 35 to his name since making his debut in 2013. Springbok international Botha played his last game for the province against Stade Francais in January, where an ACL injury brought a premature end to the 36-year-old’s Munster stint. South African Van den Heever harboured ambitions of playing for Ireland when he took up residence in the southern province in 2013. Instead, injury dogged his efforts to make a consistent impact and he departs with six tries in 29 caps. Munster’s announcement today also waved farewell to former academy player of the year Shane Buckley. The 24-year-old back row is believed to be close to sealing a move to an English club. Leinster academy product Jordan Coghlan is the sixth man through the exit door, the agile number eight made eight appearances for Anthony Foley in the Pro12 this season and has already agreed a contract with Nottingham. Email “Van den Heever, Botha and Sheridan among list of departures from Munster”. 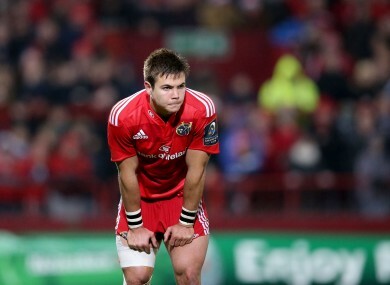 Feedback on “Van den Heever, Botha and Sheridan among list of departures from Munster”.